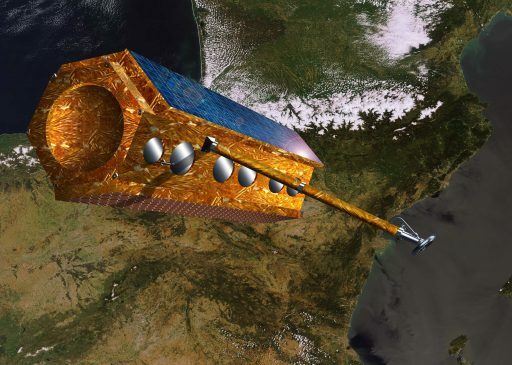 PAZ, formerly SEOSAR, is a Spanish radar observation satellite operated by Hisdesat under the Spanish National Earth Observation Program to deliver round-the-clock, all-weather radar imaging products for multi-mission use in the security & defence sectors as well as civilian applications. The mission, set for launch in February 2018, can look back at very bumpy road to launch, taking almost a full decade from the initial signature of the contract to its liftoff atop a SpaceX Falcon 9 rocket – including a switch from a Russian-Ukrainian Dnepr rocket after two years of delays related to the political conflict between the two countries. 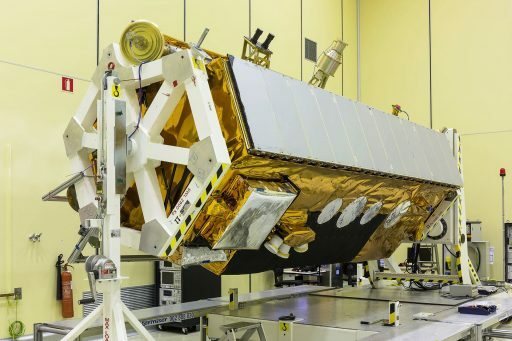 The €160 million PAZ project has been funded by the Spanish Ministry of Defence and commercial operator Hisdesat to create an extremely diverse mission for use in a number sectors including government-tasking and commercial/civilian imaging. Three primary entities are involved in the project: a) Astrium España (now operating under Airbus) as the prime contractor responsible for the development and manufacture of the satellite in an original timeline of four years (2008-2012), b) INTA (Spanish National Institute for Aerospace Technology) tasked with establishing the mission’s ground stations near Madrid and on Gran Canaria, and c) Hisdesat as the operator of the satellite in charge of the commercial exploitation of the spacecraft and facilitating image orders from the Ministry of Defence as the primary customer for the mission. In the defence sector, radar reconnaissance has become an important element of modern-day space-based intelligence-gathering as it allows for imaging at day and night and through clouds, even penetrating foliage to reveal what optical-image reconnaissance satellites can not see. Improvements in Synthetic Aperture Radar technology have allowed radar satellites to capture imagery at a ground resolution approaching that of optical imaging satellites. Among the services provided by the PAZ mission is geo-information intended to enhance surveillance of the Spanish territory and other parts of the globe, improve the security of the Spanish borders, support operations of the Spanish armed forces, provide data for natural disaster assessment and mitigation, and support risk and crisis management. Data from the satellite will also be used to support operations against piracy in the waters off Somalia and to control the illegal traffic of immigrants into and through Spanish waters. Export of data from the satellite, handled by operator Hisdesat, will deliver products to the United States, Mexico, Belgium and Denmark. PAZ hosts an X-SAR – X-Band Synthetic Aperture Radar and utilizes a platform from the TerraSAR-X mission provided by Astrium (now Airbus Defence & Space) with a planar phased array antenna from Astrium’s Madrid-Barajas facility. Secondary payload hosted by PAZ are an Automatic Identification System (AIS) terminal operated by exactEarth under the name exactView 8 and a GPS occultation instrument for weather forecasting and climate science. 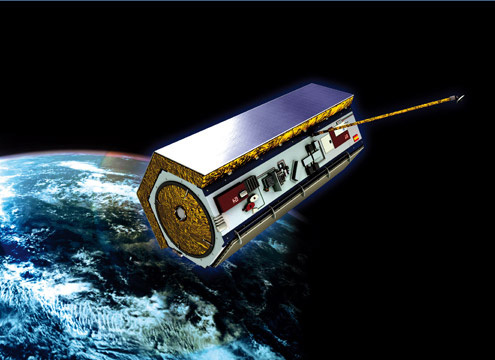 PAZ, meaning ‘Peace’ in Spanish, was identified as a flagship mission under the Spanish Space Strategic Plan 2007-2011 and intended to operate alongside the Ingenio mission carrying an optical imaging payload to form a two-satellite system known as PNOTS (Programa Nacional de Observación de la Tierra por Satélite). However, both missions would slip considerably beyond their initial launch targets of 2012 and 2015, respectively. 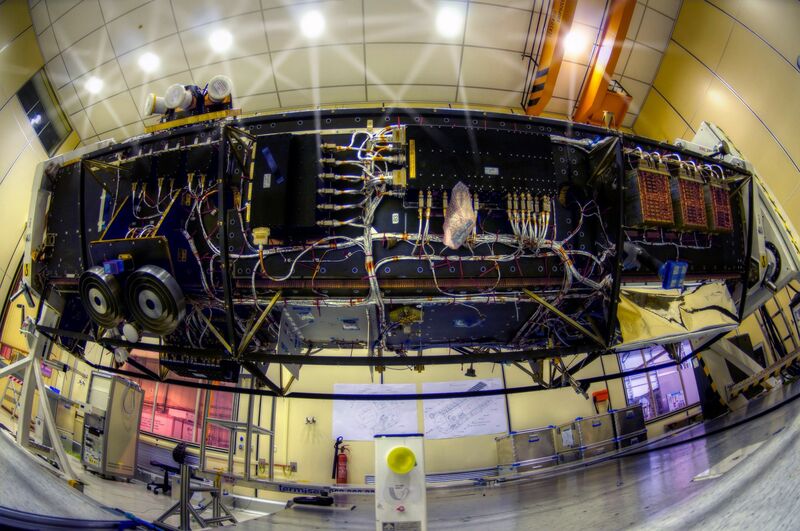 A major development goal for PNOTS was to create a common ground architecture for both missions and also contribute to the European Copernicus program that utilizes various space-based remote sensing platforms to collect a comprehensive set of Earth observation parameters. Drawing heritage from previous Airbus XSAR missions like TerraSAR-X and TanDEM-X launched in 2007 and 10, PAZ comprises a nearly identical version of their satellite platform and uses a largely similar instrument featuring some performance enhancements. 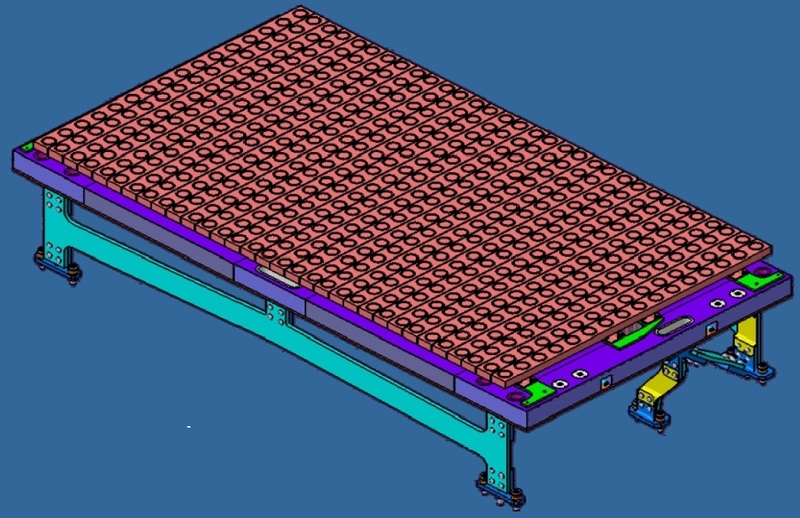 The satellite platform is a hexagonal carbon-fiber structure measuring five meters in length and 2.4 meters in diameter, hosting the power-generating solar arrays and the XSAR antenna as body-mounted components to create a simple architecture without the need for complex deployment events (like for multi-segment CSAR antennas). PAZ has a launch mass of around 1,342 Kilograms including 59 Kilograms of maneuvering propellant. Its principal components are a Service Module, platform structure, and instrument back-end, adapting a version of the Airbus Astrobus platform. 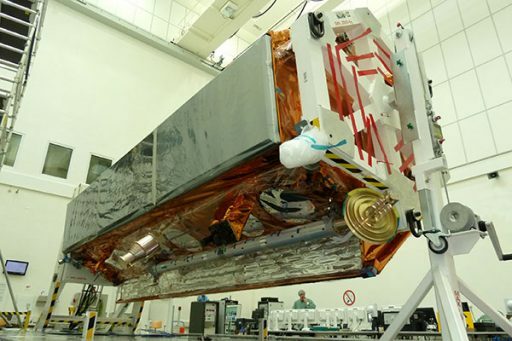 The satellite side panels are angled 60° and the sole deployable element of the satellite is a 3.3-meter long boom hosting the X-Band antenna for data transmission to avoid RF interference between the XSAR and X-Band downlink and enable simultaneous imaging and data downlink. The hexagonal satellite structure builds the primary load-bearing element of the PAZ spacecraft, using modern Carbon-Fiber-Reinforced Polymer panels to create a lightweight yet robust structure capable of load transfer from the launch vehicle. Three sides of the hexagon are populated with electronics components, the sun-facing panel hosts the single solar panels of the satellite, the XSAR antenna resides on the panel positioned at an off-nadir angle of 33.8 degrees and the nadir-facing side facilitates the AIS payload, S-Band telemetry & telecommand antenna and a Laser Retroreflector for precise orbit determination. The Electrical Power System of the PAZ spacecraft comprises the Solar Generator, a redundant Power Conditioning & Distribution Unit (PCDU) and a Battery Unit. The single solar panel has an active area of 5.25 m² and employs triple-junction Gallium-Arsenide Solar Cells to generate a peak power of 850 Watts sent to the PCDU for distribution across the satellite and the batteries. PAZ employs three Li-Ion battery packs with a capacity of 108 Ah and the PCDU delivers a 38-51 V unregulated power bus, primarily for the heaters and deployment systems, and a 28-Volt regulated power bus kept within +/-5% of its voltage setpoint. 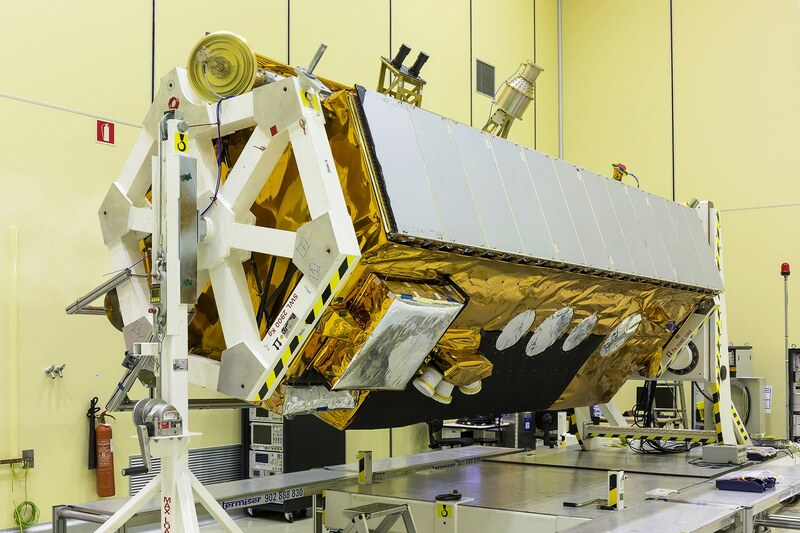 The Attitude Determination and Control System of the PAZ satellite relies on a series of sensors for precise attitude determination and Reaction Wheels serve as primary actuators to keep the radar antenna in the proper orientation relative to the ground. Each side of the hexagon has a Coarse Sun and Earth Sensor for initial de-tumble and attitude acquisition as well as sun-pointing in safe mode sates, supported by a pair of Inertial Measurement Units which are also called upon for the measurement of precise body rates to propagate attitude solutions and provide acceleration measurement during propulsive maneuvers. A pair of three-axis magnetometers provide rate measurements and magnetic field vector data for actuation of the magnetic torquers. A Dual-GPS Receiver delivers time synchronization across the satellite’s subsystems, state vector and orbit information. Attitude Actuation relies on four Reaction Wheel Assemblies as primary control mechanisms and three magnetic torque rods are used for momentum dumps from the wheels and attitude control in safe modes. The reaction wheel assembly is a rotating inertial mass that is driven by a brushless DC motor that spins the wheel. When accelerating the wheel, the satellite body to which the wheels are directly attached will rotate to the opposite direction as a result of the introduced counter torque. Magnetic torquers create angular momentum by running a current through coils in the presence of Earth’s magnetic field. For orbit control, PAZ employs eight thrusters arranged in two strings of four, both fed from a central Hydrazine tank. Two banks of four thrusters are installed on the satellite to provide assistance with attitude control when required, but their primary role are in-plane and out-of-plane orbit adjustment maneuvers. The thrusters operate through the generation of high-pressure gas as hydrazine monopropellant decomposes when running over a heated metal catalyst bed and expelled through a nozzle with an expansion ratio of 1:80. Each thruster delivers 0.32 to 1.1 Newton of thrust depending on the inlet pressure that can range from 5.5 to 22 bar. The thruster weighs 290 grams and operates at a nominal mass flow of 0.44g/s and an impulse range of 200 to 223 seconds with corresponding flow rates of 0.14 to 0.45g/s. It is capable of operating in pulse and steady state modes with a cycle life of 59,000. The PAZ avionics system relies on the Integrated Control and Data System Electronics (ICDE) system as onboard computing element. 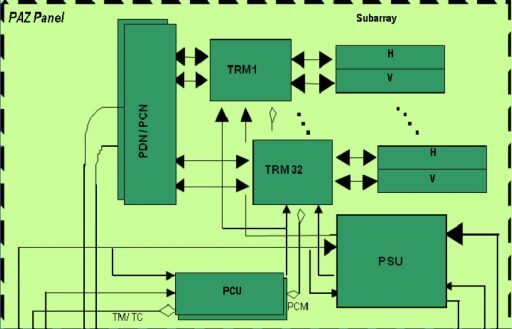 The core system comprises two redundant 32-bit Central Processing Units implementing ERC32SC (Embedded Real‐time computing Core – 32 bit Single Chip) processors that can handle over 18MIPS and provide sufficient memory (6MB RAM, 4MB EEPROM) for all satellite tasks including control of the payload, platform command & control and all attitude determination calculations and actuator commanding. The redundancy of the core system is monitored by a dedicated extension module tasked with hot-swapping between the two OBC strings in the event of problems. Internally, PAZ uses a full duplex UART (Universal Asynchronous Receiver/Transmitter) data bus for all equipped components and a standard 1553B bus for all remaining elements. 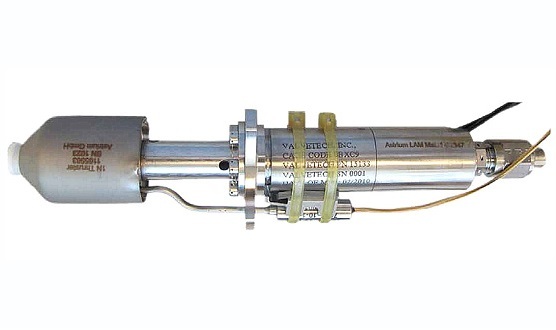 A 2 Gbit data recorder is available for housekeeping telemetry while payload data is stored in a dedicated Integrated Solid State Recorder ISSR with two redundant slices providing an end-of-life memory of over 256 Gigabits (320Gbit at beginning of life). Housekeeping telemetry is downlinked at a selectable data rate of 32 kbit/s (real time mode) and 1 Mbit/s (playback) via the satellite’s S-Band TT/C System and command uplink occurs through an encrypted S-Band link at 4 kbit/s. 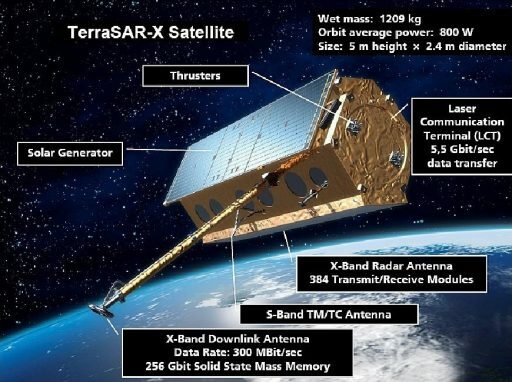 The X-Band downlink terminal for SAR data operates at a data rate of 300 Mbit/s, also using encryption given the satellite’s role in national security. 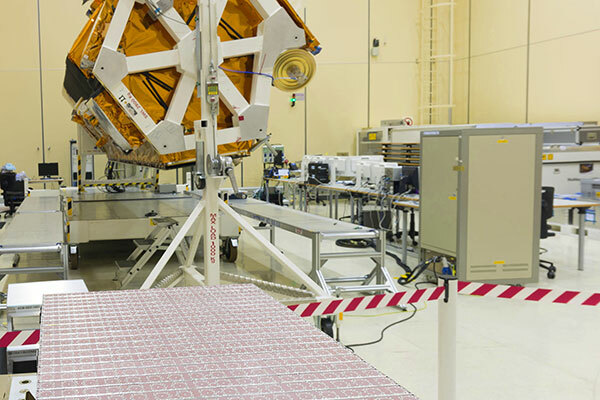 The primary instrument of the PAZ satellite is XSAR, an X-Band Synthetic Aperture Radar relying on printed-radiator technology to collect high-quality SAR imagery in a variety of sizes and resolutions up to 25 centimeters. Multi-mode, multi-polarization and left/right looking attitude imaging modes allow XSAR to collect the entire spectrum of radar products. The 394-Kilogram PAZ-SAR instrument consists of an X-Band active phased array antenna comprising 12 panels in azimuth direction with 32 sub-arrays each, capable of operation with an instantaneous bandwidth up to 300 MHz. The antenna panel measures 4.8 by 0.7 meters in size; each of the 384 sub-arrays is 40 by 2.2 centimeters size with an antenna thickness of 9 mm and they are arranged in elevation within their panels. Each individual sub-array is connected to its own Transmit-Receive Module (TRM) which can be individually adjusted in amplitude and phase to enable beam steering and adaptive beam forming in both directions (azimuth and elevation) with a capability of creating over ten thousand beams. Each of the 12 panels has a Panel Distribution Network through which the radar transmit/receive signals are split/combined, a Panel Calibration Network, a pair of Panel Supply Units to power the Transmit/Receive Modules, and one Panel Control Unit that commands the TRMs. 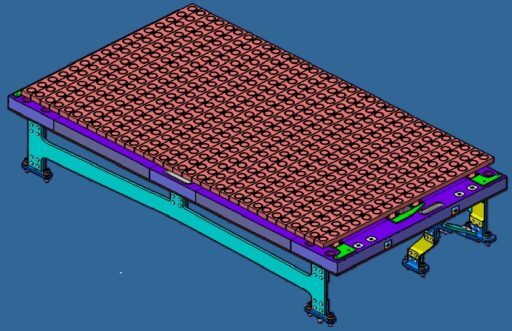 The individual subarray consists of four principal layers the radiator layer with 16 elements, probes layer, Beam-Forming Layer (BFN) for Horizontal Polarization and the BFN for Vertical Polarization. 16 radiator elements are part of each subarray, consisting of a circular patch excited by electromagnetic coupling through two stripline probes (in the probes layer) coupled to a ring aperture and providing both, horizontal and vertical polarizations. The radiators and stripline probes are printed onto a low-loss Teflon-based substrate to provide favorable characteristics such as good polarization purity, high directivity, and good electrical performance. The probes layer includes horizontal and vertical probes for each radiator and the first two-way divider for the array – a two-way equal-phase divider for vertical and a two-way divider with 180° transmission line for horizontal polarization. The Beamforming Network (BFN) is tasked with providing a uniform phase and amplitude to the elements at a working frequency of 9.65 GHz. The PAZ-SAR operates at incidence angles of 15 to 60 degrees and supports Pulse Repetition Frequencies of 3000 to 6500 HZ at a peak radar transmit power of 2,260 Watts. 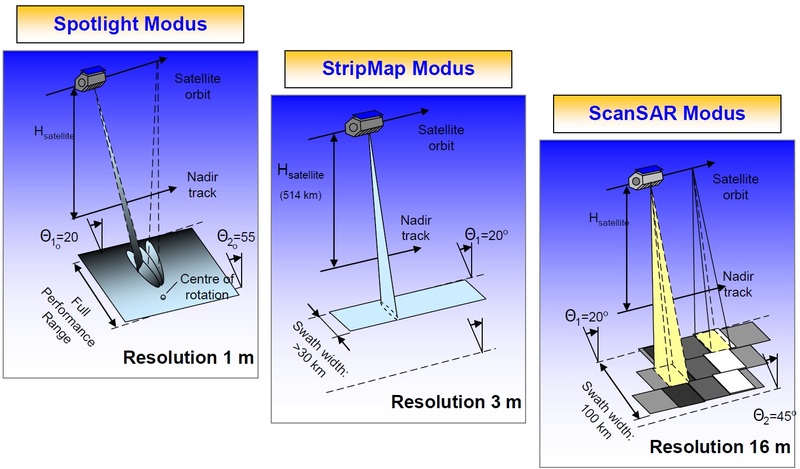 The PAZ-SAR instrument offers three primary imaging modes: 1) Spotlight imaging for maximum resolution, covering a ground area of 10 by 5 Kilometers at one-meter resolution and 10 x 10 km at 2m resolution (sub-meter resolution is possible in an HR Spotlight mode covering a 5 x 5 km image); 2) Stripmap Imagery to assemble a continuous swath of 30 Kilometers width at a ground resolution of 3 meters or a 15km swath in dual-polarization mode with a resolution of 6 meters; 3) a ScanSAR mode to assemble a large image by collecting adjacent image strips, capable of reaching a 100km swath width at a resolution of 15 meters. Based on the power and data limitations, PAZ is expected to deliver over 200 SAR images per day, covering an area of up to 300,000 km². 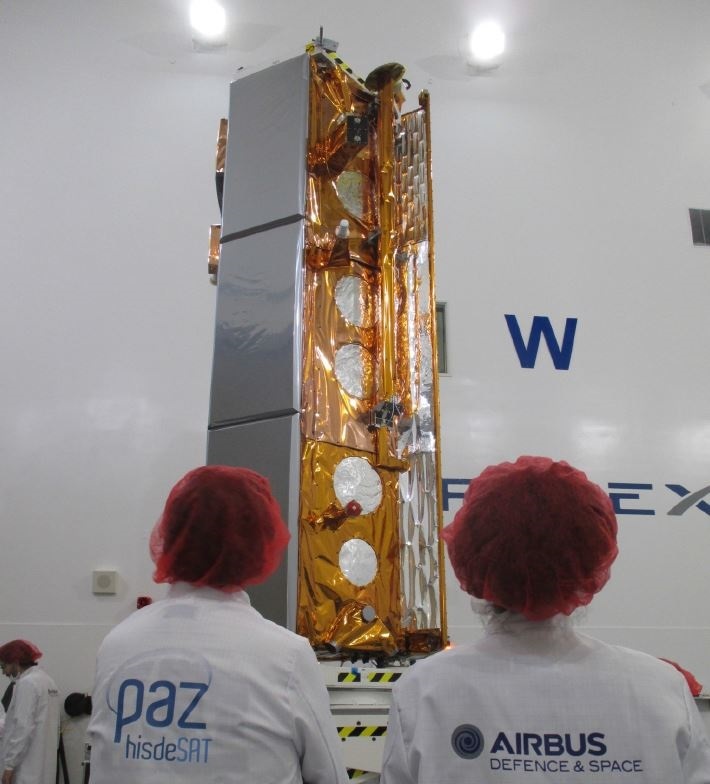 PAZ carries two secondary payloads in addition to the XSAR, an AIS (Automatic Identification System) ship-tracking payload operated by exactEarth and a GNSS radio occultation payload for atmospheric sensing. exactEarth, headquartered in Cambridge, Canada, is a joint venture between COM DEV and Hisdesat, operating a series of AIS-equipped satellites or hosted payloads flying under the exactView designation to collect global ship-tracking data offered on the commercial market. PAZ provides the first opportunity of collecting SAR/AIS fusion data products to enhance maritime surveillance since the SAR instrument will be able to pick up vessels not outfitted with AIS to keep track of illegal activity. 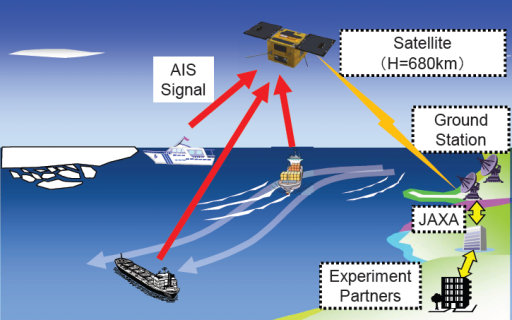 These signals can be transmitted from ship-to-ship and ship-to-shore to allow the monitoring of a local area, but deploying space-based AIS terminals allows a broad coverage and data relay to ground stations for monitoring of large sea areas. 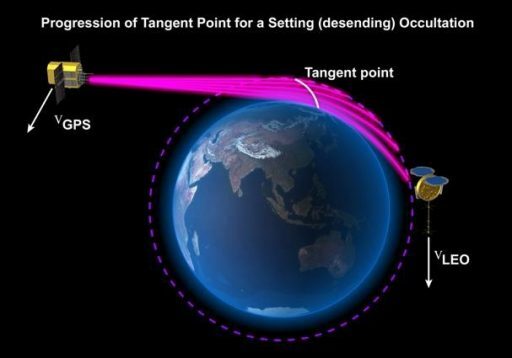 However, due to the large footprint of satellites, overlapping and signal collisions become a problem, especially for frequented traffic routes, requiring a steady improvement in reception technology to separate the different signals. The AIS payload on PAZ employs a dual-polarization receiver for the collection of the entire signal spectrum and de-collision of AIS signals. ROHPP (Radio Occultations and Heavy Precipitation with PAZ) is a GPS Occultation instrument for atmospheric remote sensing, collecting profiles of humidity, temperature and pressure from near ground level to the upper layers of the dense atmosphere to feed into operational numerical weather forecasting models as well as long-term climate studies. GNSS Occultation instruments make use of the highly stable signals emitted by navigation satellites and measure their change as they pass through the atmosphere when it moves into the line of sight between the receiver and GNSS satellite. ROHPP employs a slightly modified IGOR+ advanced GPS receiver that started development in 1998 and has flown over 25 missions since then. IGOR+ tracks GPS L1 C/A and P(Y) codes, as well as L2 P(Y); modifications made to the original system enable polarimetric measurements. The ROHPP antenna has been designed specifically for dual-polarization measurements and provides excellent polarization isolation. 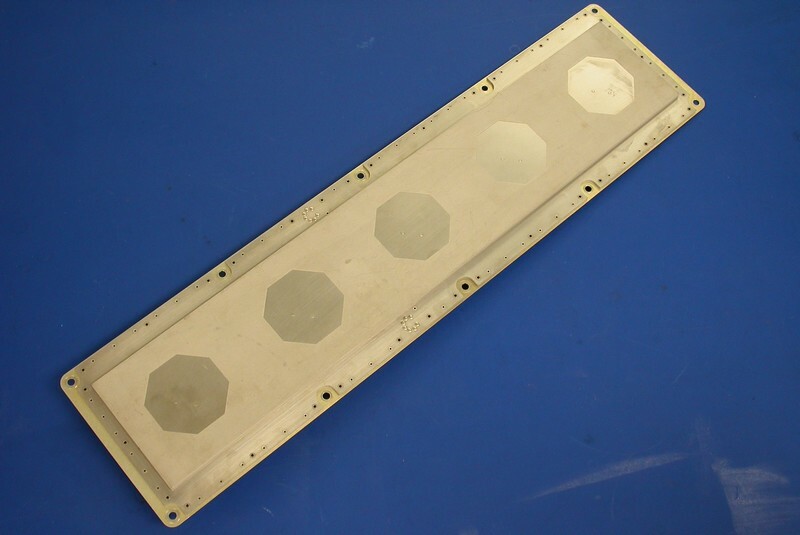 It is a 5-element phase array antenna with two linear ports for V and H polarizations. ROHPP is expected to achieve a vertical resolution of 300 meters. The polarimetric measurement capability will be used in a proof-of-concept experiment for the detection of areas of high precipitation. Because of the addition of the second polarization channel, ROHPP is only capable of detecting setting GPS occultations since the IGOR channel originally dedicated to rising occultations was modified to obtain left-hand circularly polarized signals. The methodology behind this measurement is a larger depolarization of signals traversing through flattened drops of heavy precipitation. 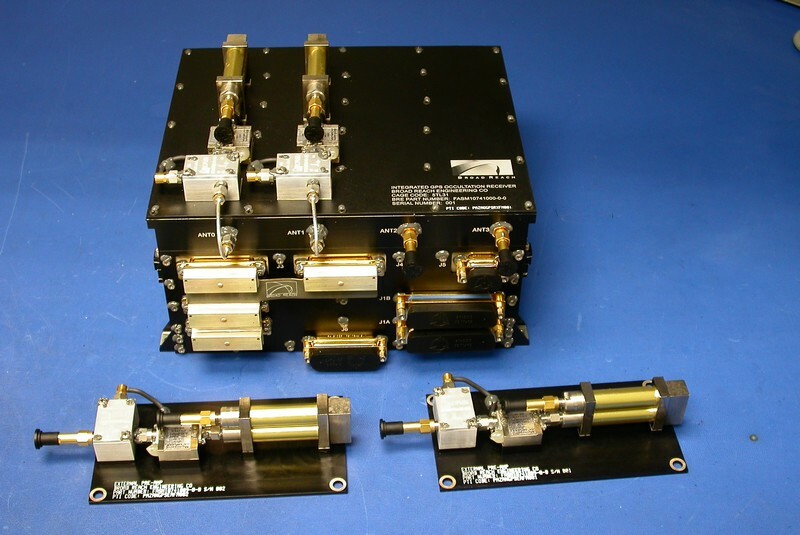 PAZ also carries a laser retroreflector of GFZ Potsdam, using a design flown on various European missions to enable precise orbit tracking by means of laser ranging. The LRR consists of a regular 45-degree pyramid shaped retroreflector array; it is a passive payload that features four prisms to reflect short laser pulses back to the transmitting ground station. The prisms consist of fused quartz glass with a refractive index of 1.461 at 532 nanometers, coated with aluminum & a protective layer of silicon dioxide. Measuring direct two-way range between the ground station and the laser can be accomplished with an accuracy of one to two centimeters. The LRR weighs 400g and is 10 by 10 by 4.8 centimeters in size. 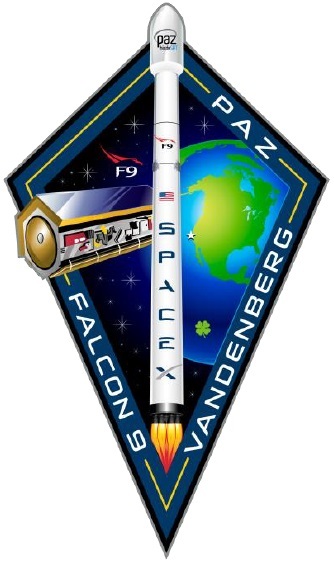 Copyright © 2019 Falcon 9 – PAZ. All rights reserved.